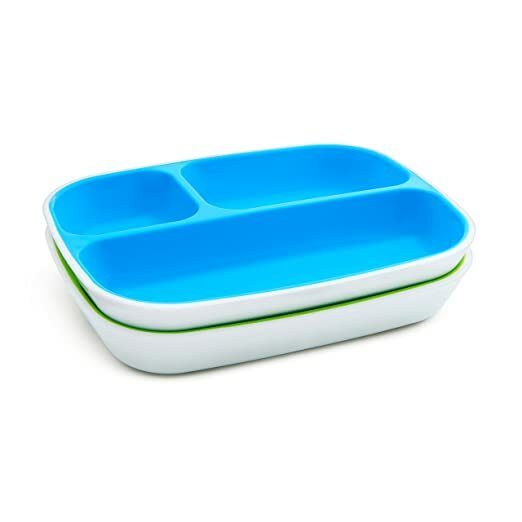 Ready to make a splash next mealtime!? 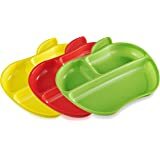 munchkin's set of gripping divided plates and bowls from the splash line is guaranteed to get your little one excited next time they sit down to eat. 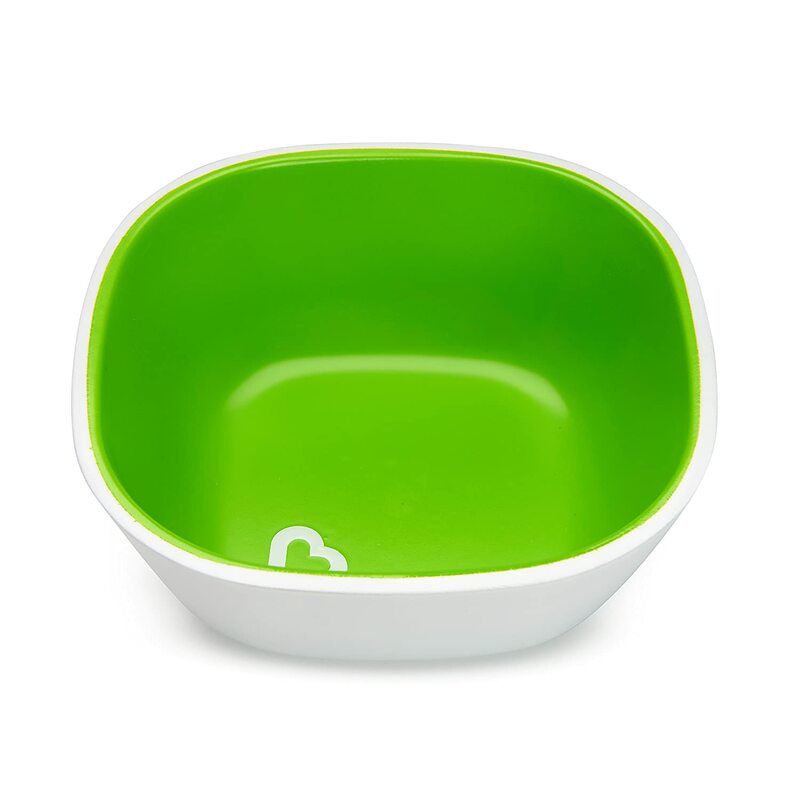 The modern design won't clash with your decor and the no-slip bottom means fewer messes. 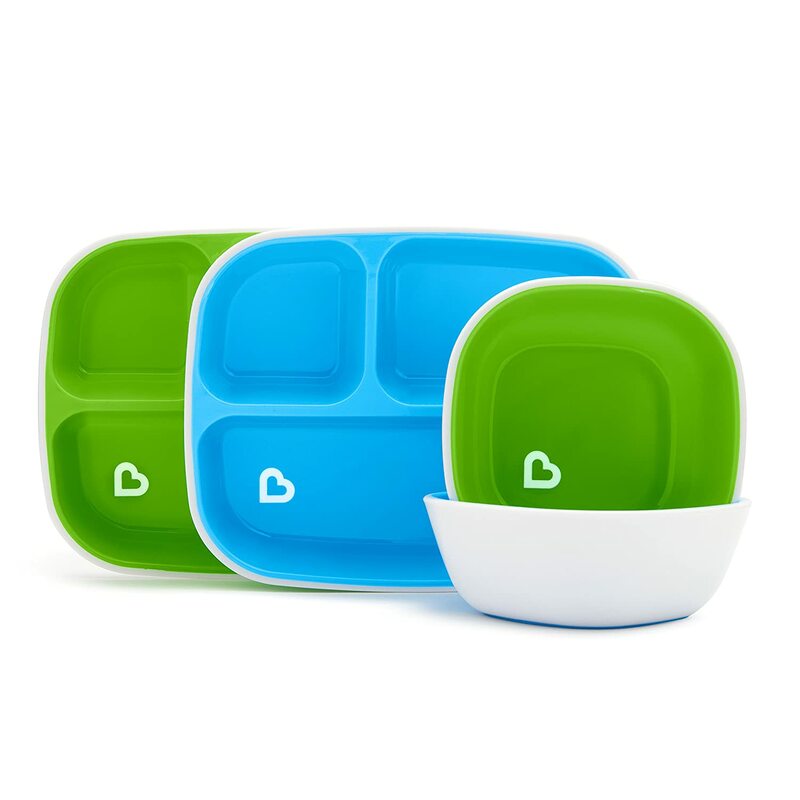 BPA-free, microwave and dishwasher safe, these plates and bowls are necessary for breakfast, lunch, and dinner! 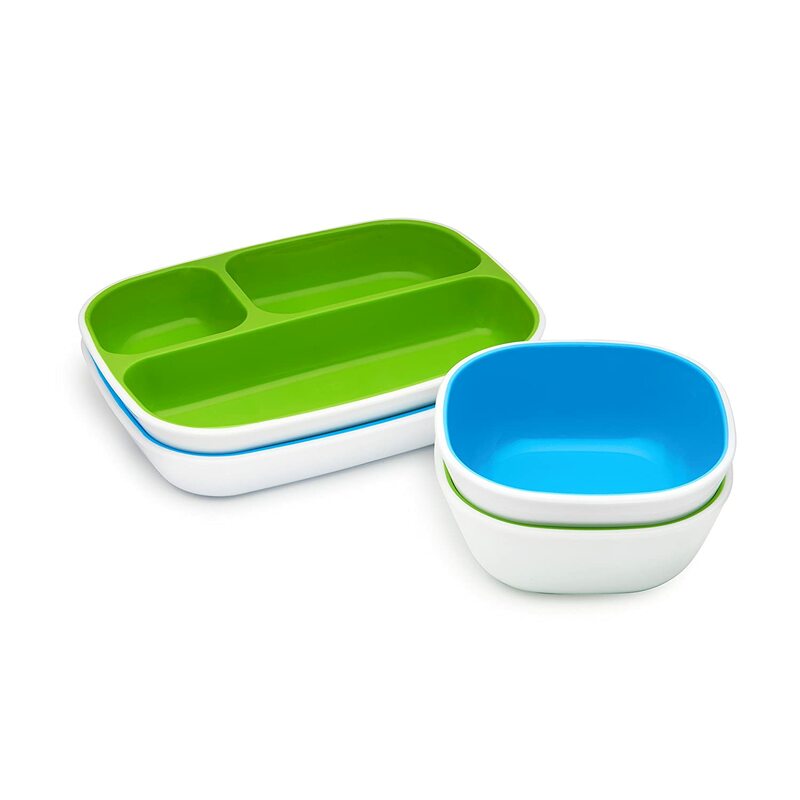 coordinating cups and flat plates are sold separately.